Since the staff had a new room, it was decided that a new photocopier would be put in there too. Well, I say decided, more forced… the old one was too wide to fit through the door. I will give credit to the previous main photocopier, it did 4 and a half million pages without having too many problems, apart from what staff caused to it. 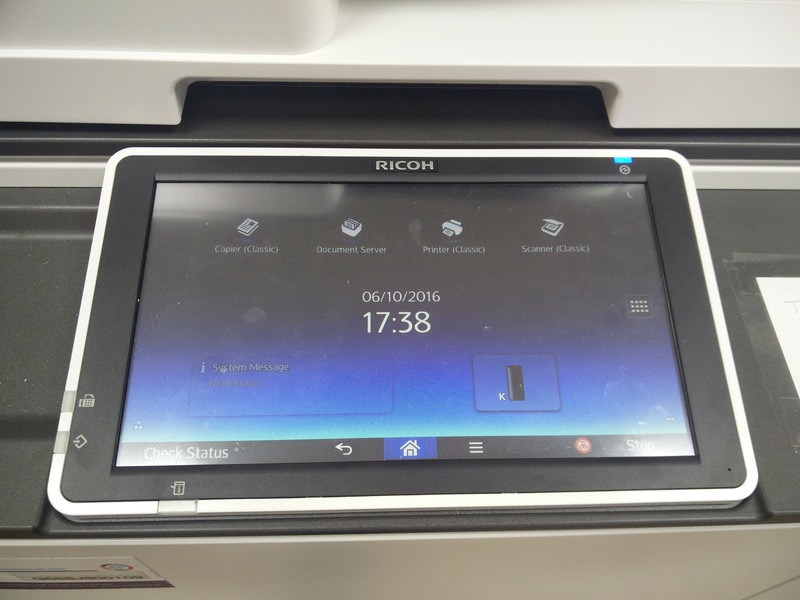 Three of our photocopiers were replaced in total, and as they were a newer version, they were able to connect to our Server 2012 file servers. Whereas before all scans that were taken on them went to a communal share and staff had to take the files out (they never did), we would now be able to get staff to scan directly into their own home folders. My colleague did most of the hard work adding all of the staff members and their codes to the devices, which left me with the job of creating a ‘Scans’ folder in all of the home directories. $skipFolders = "!!-Disabled-!! ", "hartj", "isi", "newsdesk", "SchoolCouncil", "Staff1"
To use, save it as a PowerShell script (*.ps1) and modify the lines indicated as needed to fit your environment. For instance, our scan folders are located: \\FP001\Users-Staff\<Username>\Home\Scans. As always, your mileage may vary. Posted in Hardware, Software, Work Life. Tagged Photocopiers, PowerShell.